Teachers deserve only the best. I say this often, and I mean it. They are underpaid and overworked. So I always like to show my appreciation at the end of the year. My daughter has been lucky and has had a series of teachers that she's loved. My son has as well. I can't imagine what it's like being a teacher. I know I can get irritated with my kids, and I only have two. Most teachers have between 20-25 to deal with. Many of them are disrespectful, from what my daughter tells me. "Sometimes boys just won't LISTEN!" she explained, scandalized. So whatever I can do to help a teacher out, or to make them feel appreciated, I'll do it. I found this in the dollar spot at Target. If you can't find one, you can easily make it. 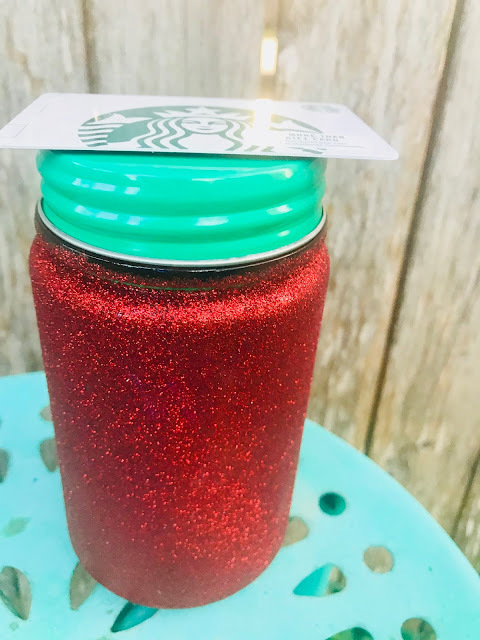 I filled it with chocolate and then topped it off with a Starbucks gift card, because I figure teachers could use all the caffeine they can get. I bought the photo on Etsy at this shop here. And the pin, which says "Wouldn't it be awesome if life were a giant musical?" on Etsy as well here. Plus a Target gift card, because who doesn't love Target? I wanted to include the music teachers, because Natalie was in violin and the play, which they put together. What should you put the gifts in? 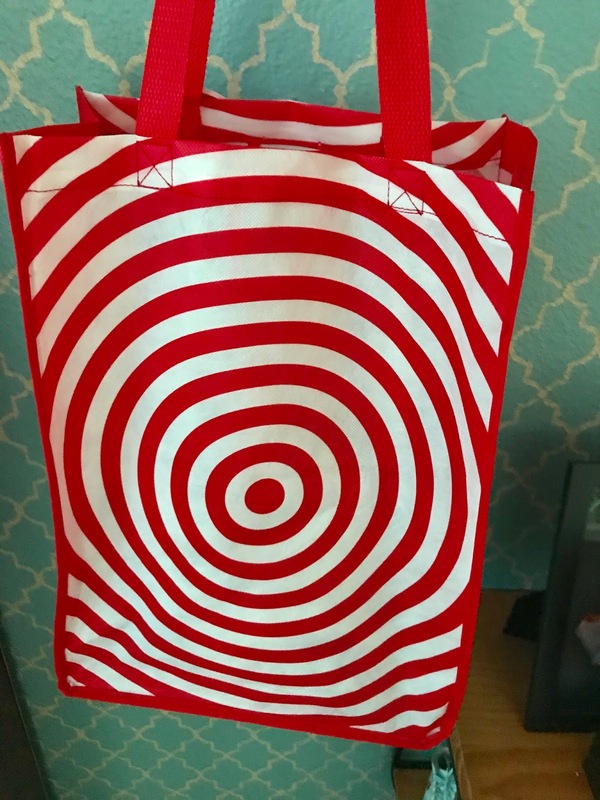 Well, get a Target gift bag! It's only .99 cents, cheaper than the bags in the gift area. Plus they can re-use it AND if they use it at Target, they get 5 cents off. I also wanted to thank the bus driver, because holy crap, driving a bus full of loud kids FIRST thing in the morning is not my idea of fun. 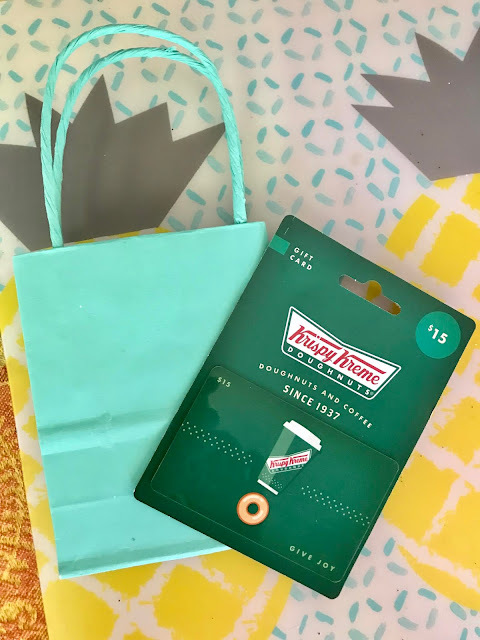 A simple gift card, plus a thank you letter will do. Obviously you can make stuff as well, but I'm not the best at crafts. So I tend to go for Etsy items or gift cards. Teachers always appreciate it when they are thanked and acknowledged. If all you can afford is a thank you card, that's enough! I know I always feel better when I'm thanked for a job well done. Do you give gifts to teachers? Such a cute idea, and everyone can use a Starbucks gift card! I used to struggle with teacher gift ideas when my kids were younger. This would have been great! You have so many great ideas! We love that you thought of the bus driver. You guys are lucky, my teachers were terrible. We used to make a group gift for teachers in primary school. But I was talking to one of them once and she told me that as much as she appreciates gifts they are too many and she didn't know what to do with all of them. Always nice to show appreciation at the end of the year. Gift cards are wonderful to go along with anything. My son saves them and uses them for supplies for his kids for the next school year. Wow these do look like great ideas. I don’t have kids, but my inlaws are both teachers and I know they would appreciate this. Now I feel really guilty because my son loves his school and teachers and we did not get them anything. It is so nice to show teachers our appreciation and so deserved. I always give my teachers gifts, but I am a retired school teacher! Teachers love any form of appreciation, from these darling ideas of yours, to simple handwritten thank you notes. That is so sweet and creative and makes them feel great, I'm sure. We don't have a bus driver in our life, yet. I cart those kids to school so maybe I'll give one to myself! These are sweet ideas. I usually go with gift cards and a thank you card from Starbucks, Dunkin or Target. I did Chick Fil A gift cards for the teachers wrapped in chicken nugget boxes. They were cute, and the teachers liked them. I like your ideas here. So creative! These sound like some lovely ideas! I have to admit that I wouldn't know where to start with end of school girls, my Mum used to get some lovely ones though. your daughter is so cute. I like the fancy glittery cup with starbucks card. Really helpful for teachers. These are such wonderful gifts. These gifts are ones that I would love to receive even though I am not a teacher. I can imagine that being a teacher to small children is hard. It takes a lot of patience. But if one is determined and really loves kids, it would be easier. These are such cute ideas! I bet the teachers love receiving these at the end of the year after all their hard work! 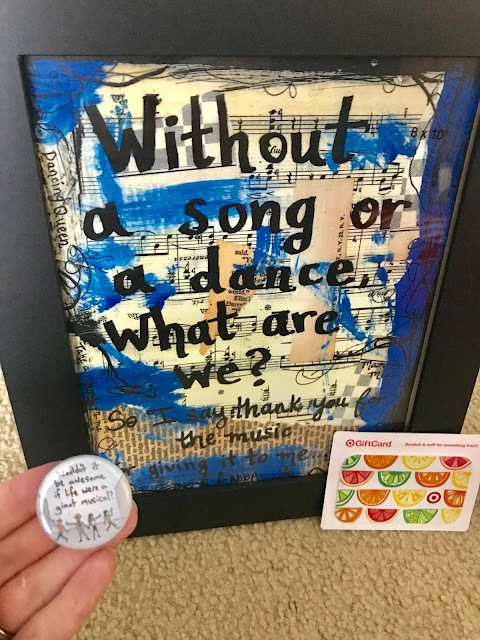 At the end of each school year I do give a gift to my son's teacher, as well as the professionals in his room, the bus driver and the aides on the bus. I do! The week before Christmas and at the end of the school year even if its just a card and flowers, I want them to know I appreciate them spending time teaching my child. It's not an easy job. Those are such great ideas, and I love that you remembered the bus driver! I would never have thought of that. Sometimes teachers have a very thanksless job. A little token when school lets out will let them know they did something good for that school year. 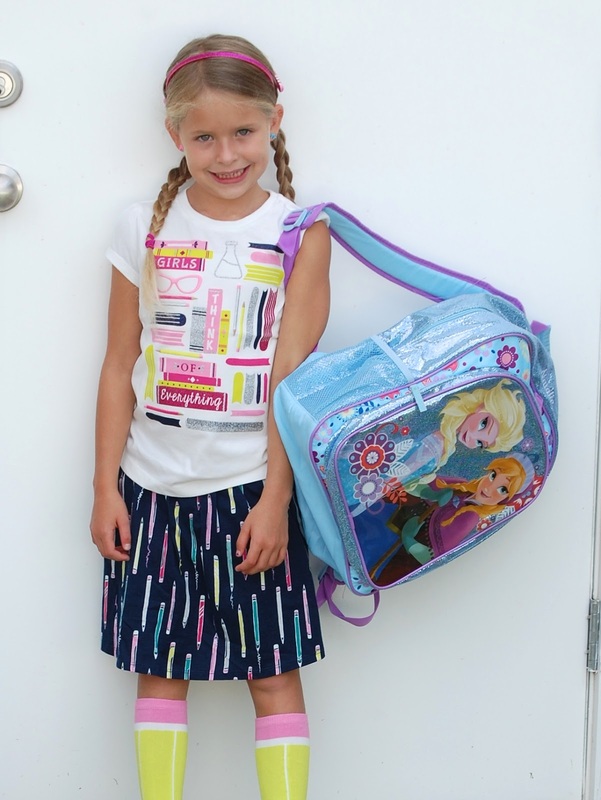 These are all super super cute ideas! My favorite is the music teacher idea, adorable and very meaningful. I love that gift you have for the music teacher, that's perfect. Teachers really deserve special gifts after school year, they do so much for the kids. These seem like great end of year gifts for teachers and other school workers!! I need to pass this post off to my sister, my niece finishes school next week!! Some of the best gifts are the ones that adorn the work of a child. Teachers love getting gift cards! These are really lovely gift ideas. I love the fact that you would be gifting the Bus driver. People like them work in thankless jobs and not many even care to acknowledge their contribution. Lovely gesture. We have three more weeks of school left here actually. You gave me some good ideas though. I need a gift for the bus driver. That guy is amazing. And the LST too. Teachers deserve so much than webcam actually remember. And unfortunately, many don't even remember to thank them,plus the bus drivers as well. But good enough, you gifted them well. That's admirable! This is a great teacher gift idea. We bought gift cards this year for all our teachers! 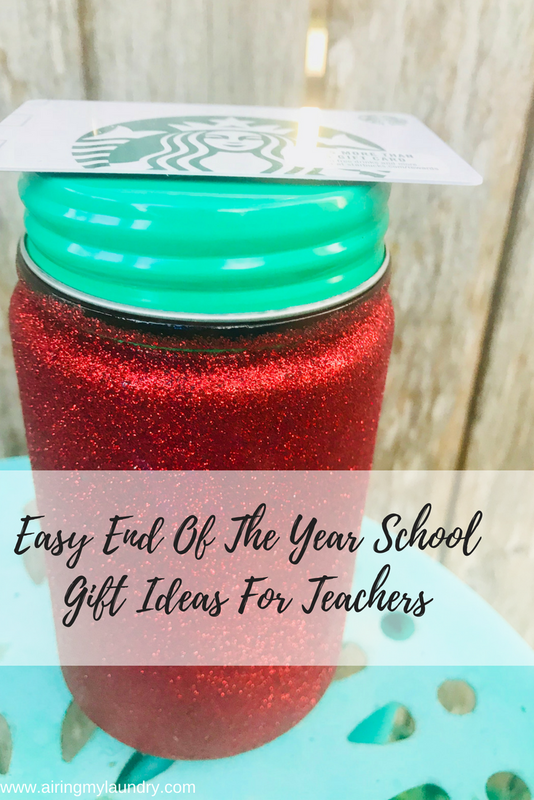 All your ideas are really cool for end of the year gifts for the teacher. I know I would have loved the one for the music teacher. It's so cool. Mostly I got a lot of chocolates all the time. Such clever ideas. I like how simple yet thoughtful they are. I've never really done teacher gifts after working in a school and seeing the dismay on a teachers face after they received there zillionth 'Your the best teacher' mug. These though are really great ideas and I think I will definitely be looking into getting gift cards now. School is already out for us. I wish I would've thought of doing something like this. My daughter's teachers would've loved it. This is my 3rd time trying to comment! It’s completely user error. This year teacher appreciation day was very close to the end of the school year so I didn’t do two gifts! But I will save this idea for the next teacher! I never thought about bus drivers! But yes they deserve a recognition too! How thoughtful. Now I'm craving for some Krispy Kreme donuts. I love when teacher's gift is partially a DIY. And for bus drivers we usually buy chocolate or cookies in a box :) As well we send gifts for librarian. Ohh it's very lovely and cute. It's very cool. I love the idea. thanks for sharing.